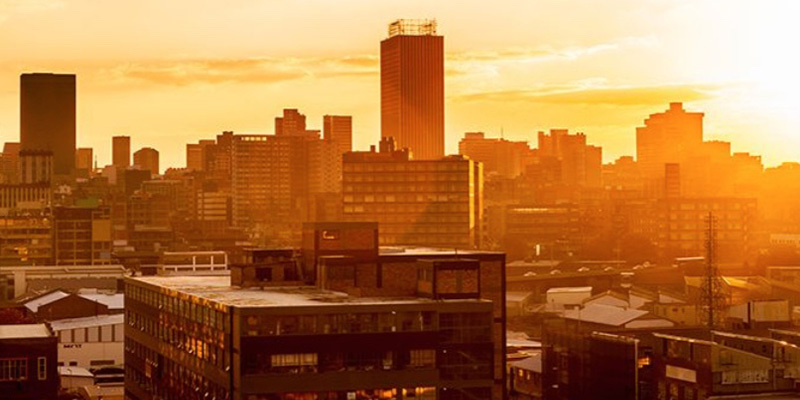 Upon arrival in Johannesburg, you'll transfer to the suburb of Sandton to check in to the Michelangelo Hotel, a tranquil and historic haven in the city. Relax at the hotel, indulge in a massage, or go for a swim. Browse for designer fashion at the nearby shopping center. After breakfast, fly from the Johannesburg airport to Eastgate Airport in Hoedspruit. 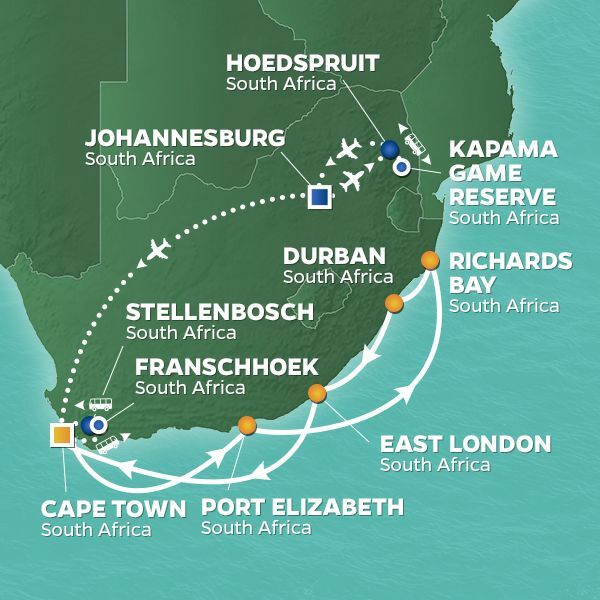 Upon arrival, transfer to Kapama Game Reserve, home to more than 40 mammal species including elephants, lions, leopards, buffalo, and rhinoceros. Check in at Kapama River Lodge, where you can savor a decadent high tea before heading out with your ranger and tracker for an afternoon game drive through the reserve. Enjoy sundowner cocktails while you watch the sun set over the Drakensberg Mountains. 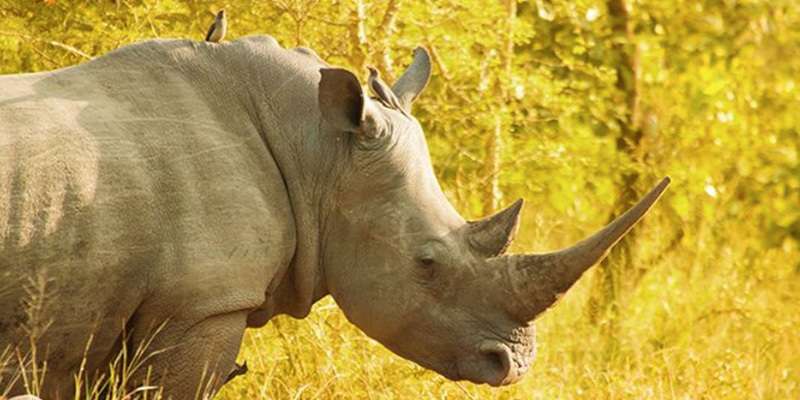 Head out on an early morning game drive when the animals are their most active. Return to the lodge for breakfast, then spend the rest of the morning at leisure. After lunch, enjoy a variety of organized activities before embarking on another sunset game drive where a spotlight torch will be used to see the nocturnal animals, before returning to the lodge for dinner. 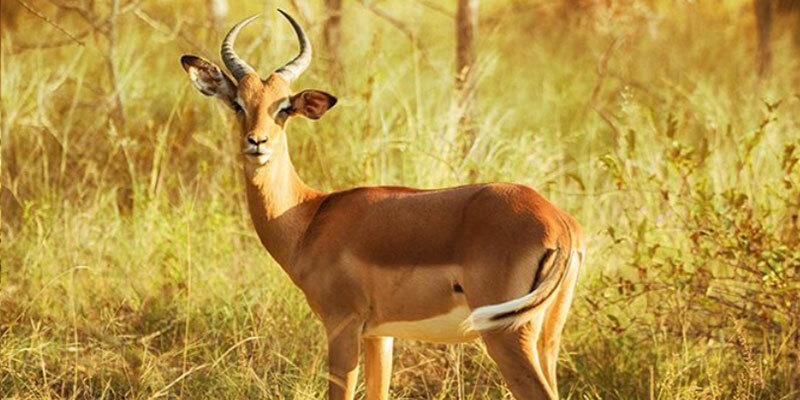 After one last early morning game drive, followed by breakfast, you'll transfer to Hoedspruit Airport and fly to Johannesburg. 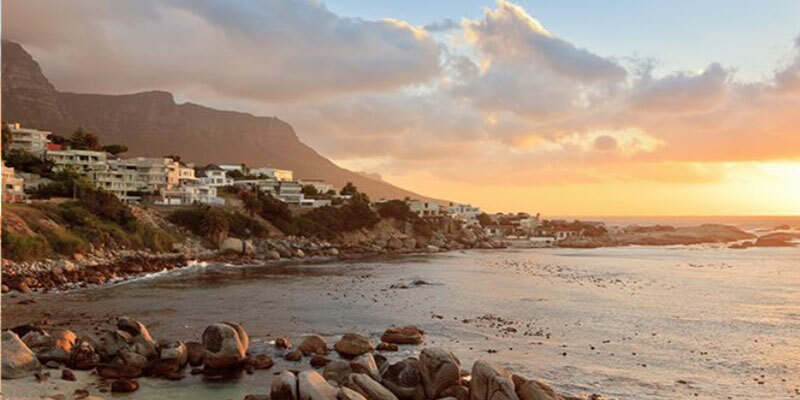 Next, fly to Cape Town, where you will transfer to the winelands via a scenic drive through the town of Stellenbosch. The Le Franschhoek Hotel & Spa is a luxurious retreat surrounded by majestic mountain viewsspend the rest of the day unwinding in complete comfort. 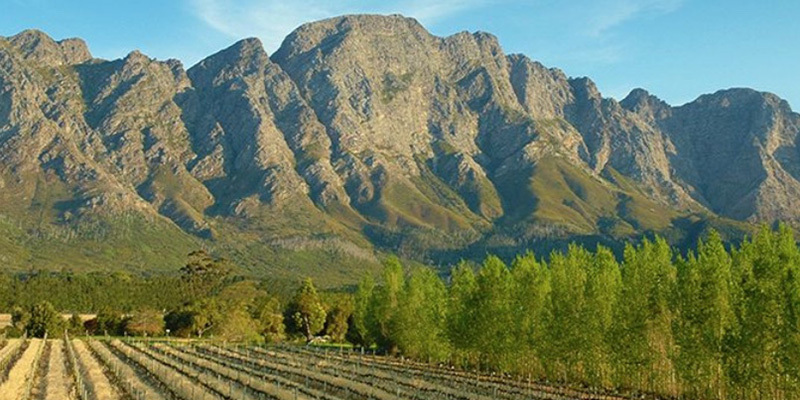 After breakfast, you'll visit Somerset West, where you'll sample wines from the Vergelegen Estate, which dates back more than 300 years. Next, continue on to Morgenster Estate for a wine, olive, and olive oil tasting. 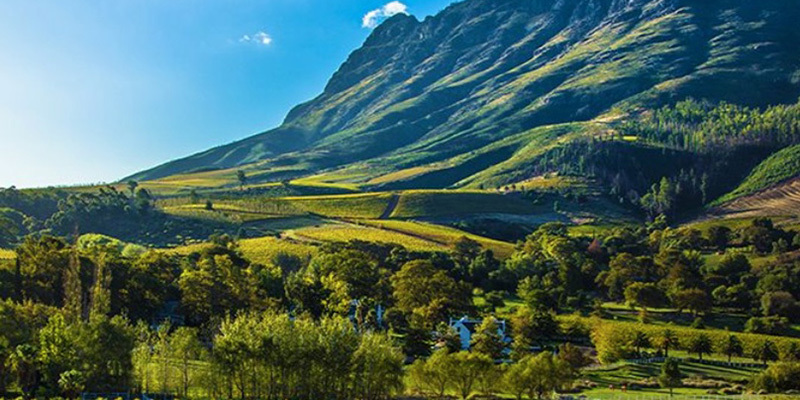 Explore picturesque Stellenbosch, then savor lunch at Tokara Restaurant, where impressive gourmet dishes are paired with local wines. Finally, round out your tasting tour at Anura Estate for a wine sampling paired with handcrafted, award-winning Forest Hill cheeses. After breakfast, check out and depart for Stellenbosch. You'll have a chance to stroll the oak-lined avenues while sampling locally-produced artisan food and drinks, like tea, fresh bread, and traditional snacks. 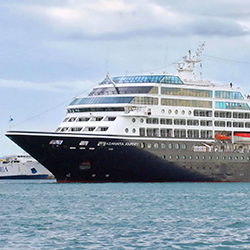 Once you're all fueled up, you'll transfer to Cape Town Harbor and board the Azamara ship.